Leizhan-supplied dryer cylinders are manufactured with state-of-the-art technologies and therefore meet the topmost quality requirement of the paper industry. Leizhan drying cylinders can effectively remove water from the internal and surface of the web. Owing to uniform temperature distribution, it ensures optimal paper sheet quality. And each group of dryer applies to big gear transmission. 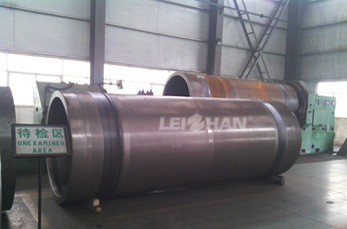 Leizhan drying cylinders can evaporating water effectively while protecting paper fibers. Apart from drying machine, Leizhan also provide other spare parts for paper making process, like reeling machine, calender, sizing machine, press roll, felt leading roll, doctor holder, stretcher, cylinder mold, gear, foundation plate, felt, etc.